An effective quality assurance model and plan help us deliver better sales results, upgrade customer experience, and make sure all regulatory and compliance requirements are met consistently. 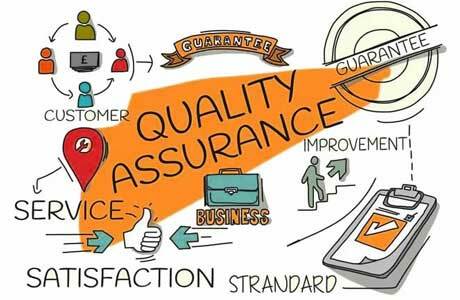 Quality Assurance is a must for measuring capability and benefit of business processes. Through our Quality Assurance offering, we assist companies in identifying chance and deriving actions to better their processes, sales conversion and customer pleasure. We also provide brilliant data with the help of our Call Center Quality Monitoring program that produces insight which will drive business improvements. An effective quality assurance model and plan help us deliver better sales results, upgrade customer experience, and make sure all regulatory and compliance requirements are met consistently. All of our business process outsourcing communication is augmented by our quality assurance team to ensure that every interaction is positive and we are continually improving. We also leverage this information to uncover business intelligence data to understand customer perceptions on promotions, pricing and competitive offerings. Quality Assurance Is The Key To BPO and We at Josoft is about automated workflow and embedded analytics that reduce manual work. Our analysts know that they are not just there to listen. They are there to follow and implement the Six Sigma principle of: Define Measure, Analyze, Improve and Control.